Spell Saga is a unique story-driven solitaire card game that takes place in a post-apocalyptic world of fantasy. It contains themes of loss, identity & purpose. 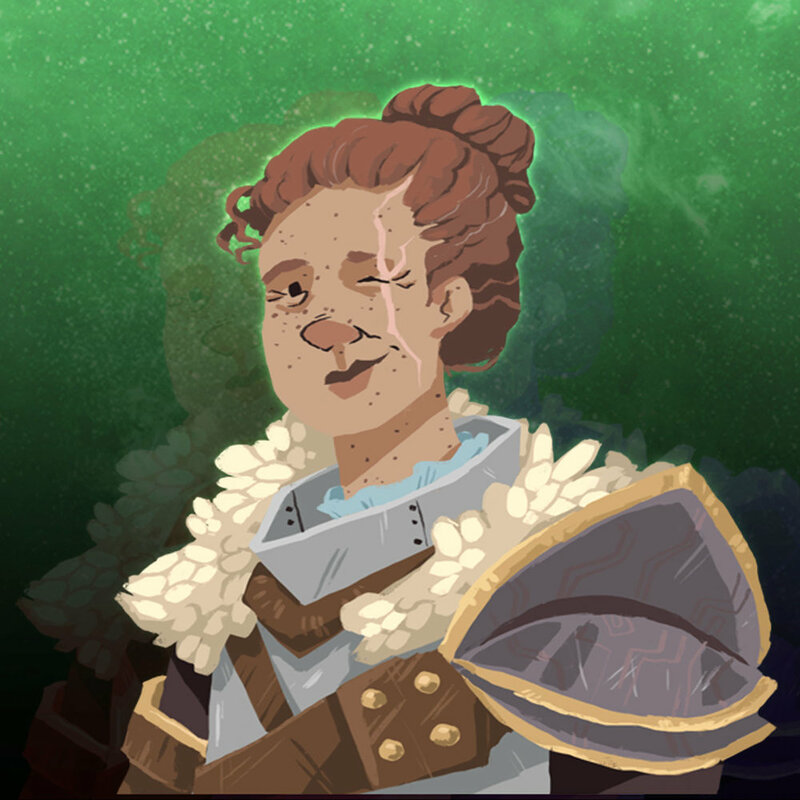 While tactical thinking and no small amount of skill are needed to advance through the game, Spell Saga encourage its players to explore, rather than win. In this manner, the game is meant to be played multiple times. The major plot of Spell Saga is always the same, but the path to find it is up to you. For Players craving even more mechanics, dynamics and lore, the optional Interludes (Decks 1.5 & 1.2) will be released this year. CLICK HERE FOR SOCIAL SHIFTING CARD OF THE WEEK! CHECK OUR FACEBOOK PAGE FOR NEWS! 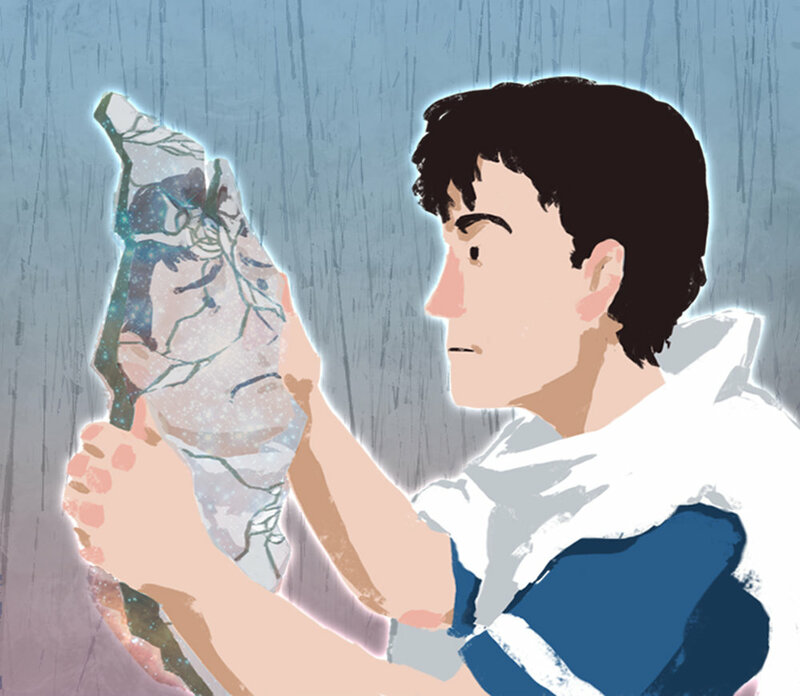 The world of Spell Saga is a vast history of interwoven moments. For players looking for advanced mechanics and games that can be finished in one sitting, look no further than ~ realmwalker ~ . These standalone stories take place all over the Spell Saga timeline, from Before The World Ended to After The Last Minstrel. Each Deck is a chance for players to enjoy new types of mechanics while delving deeper into the world of Spell Saga. After the World Ended Committee (ATWE//COMM) is the combined mystic might of Spell Saga writer//designer Todd Michael Rogers & his cousin, Spell Saga illustrator//world builder Lauren Rogers. 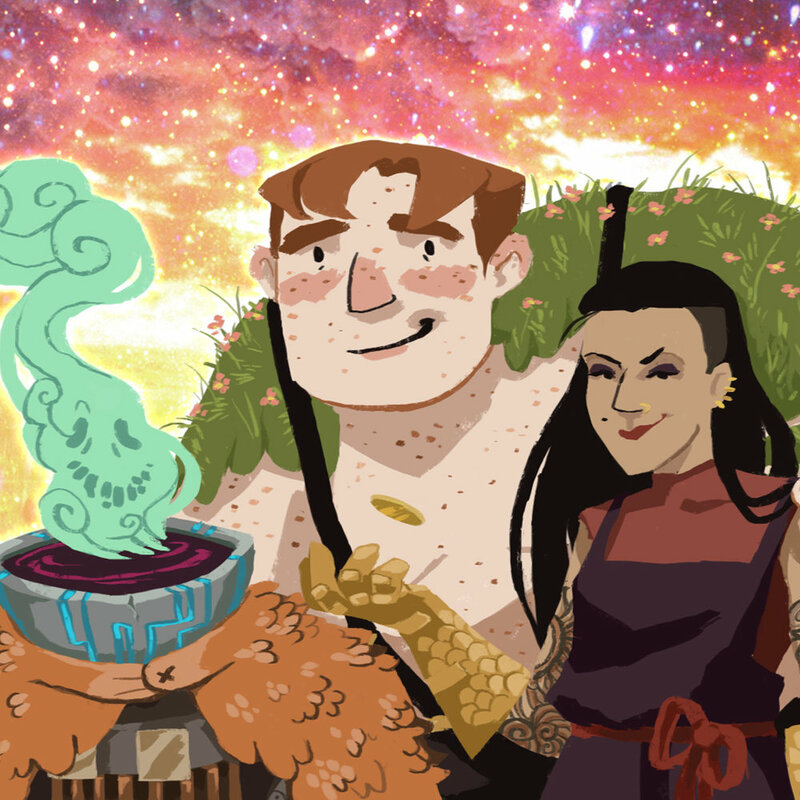 Formed in 2019 upon the dormant ashes of French Toast Gaming Company, ATWE//COMM was designed as an outlet for Todd & Lauren to finish what they had started together in 2011: using various products to explore and celebrate the world of Spell Saga, and the histories of those who lived within it. Spell Saga is created by ATWE//COMM & distributed through SUBHEATHEN. Spell Saga has the good fortune of having its own theme song. “Grain” by Cricket Engine was discovered by Todd when the band messaged him online in 2005. The song was downloaded to a beast of a laptop, a heavy machine with a cracked screen named “Blinky” . There it remained until it was pulled and downloaded to various iPods, a thin plastic ibook and finally a burned disc which was lost between the seats of a dying Geo Metro. In 2008 Todd tracked down a member of the defunct band, Sean Patrick Maylone—who was now living in South Korea and performing as a musical artist named Ssighborggg. Between emails it was agreed Todd could use the song for an undecided project. In 2011 Grain became the official song for Spell Saga. 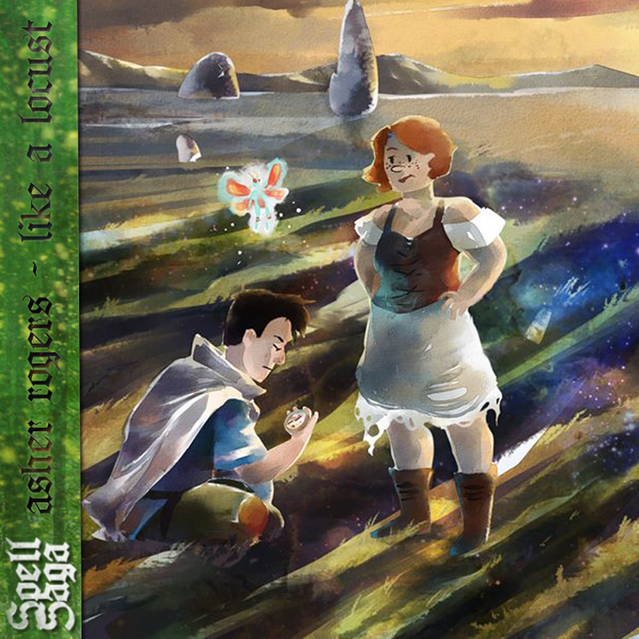 In October of 2013 Spell Saga was Kickstarted to no avail, before being kicked to life in October of the following year. During the 2014 Kickstarter Todd’s brother Asher Rogers wrote a song that had nothing to due with the game, but fit the tone and talk of the upcoming forest deck. He allowed Todd to post it online, and this became the second official song of the game. The album cover was made from a digital painting by Lauren Rogers, who made it to celebrate the funding of the game. You can listen to more of Asher’s work with his possibly defunct band: Captain Baby.